Discussion about the new Latin American left has been increasing with the examples of Venezuela, Bolivia, Ecuador and others. 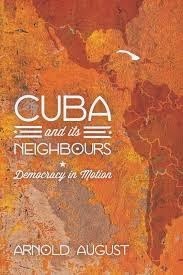 However, the Cuban Revolution is at times excluded from this emerging political movement, either directly or indirectly. One of the implicit or explicit pretexts is that Cuba is characterized as a “one-party” system, while countries such as Venezuela are featured as “multi-party” systems. The implication is that Cuba lacks democracy, as part of the old left and as an offshoot of the old Soviet and Eastern Bloc model, while Venezuela, Bolivia and Ecuador are presented as constituting an expression of a new political left, having bypassed this historical heritage, with all its negative traits. I believe that the characterisation of political systems based on the number of political parties in existence is a false dichotomy (i.e. of one-party vs. multi-party). This cannot be the gauge of a country’s democratic status nor of its belonging to a new left in the region. Is there a dichotomy with regard to political systems? Yes, but the bifurcation stems from a deep-rooted litmus test going back many centuries. The separation stems from whether or not a political system fosters a sovereignty that resides in the people as the hallmark of a democracy. To illustrate this point, the new 1999 Venezuelan Constitution indicates in Article 5 that “Sovereignty resides untransferable in the people.” The same principle is also to be found in Bolivia and Ecuador. In Venezuela, many other articles highlight this requirement. Since the 1998 elections, in which Hugo Chávez was elected President, the developing Bolivarian Revolution has been promoting in real, practical terms the notion of the people being sovereign, in the process of developing a vibrant participatory democracy despite all the obstacles and weaknesses. Since Chávez’s death, President Maduro and the socialist party PSUV have not only carried out this tradition, but are striving to catapult it further. This is being experimented with through such approaches as “Street Government” and rapidly increasing grass-roots levels of people’s participation. It is true that the political system in Venezuela is known to be a “multi-party system.” However, let us consider a worst-case scenario, such as if the pro-US Capriles forces had won the April 14, 2013 multi-party elections or, again, if a US-organised coup were to take place or if the Bolivarian forces were to be defeated in the next multi-party national elections or through a recall referendum. In any of the above-mentioned hypothetical events, what would happen to the notion that sovereignty lies in the people? The pro-US, pro-Venezuelan oligarchy would strive to undo this by replacing it with the unfettered rule of the wealthy over the vast majority, as was the case prior to 1998. I am convinced that, even in the worst case, the Bolivarian Revolution would remain a permanent feature of the new Venezuelan political landscape and could not be uprooted or eliminated even by the most powerful US-led forces. However, the question remains, in the event of a negative machination as described above, what would happen to democracy in Venezuela? It would suffer a setback even if it were not to be permanent. Yet, this would take place in a multi-party system, which is the supposed epitome of democracy. The Cuban political system, on the other hand, is in no danger of this scenario taking place. Rather, the question, as far as the island is concerned, relates to the extent to which the Communist Party increasingly and effectively nourishes sovereignty vested in the hands of the people as an ongoing process of democratisation. The Cuban criterion of people’s participation goes back to the second half of the 19th century, when, during the wars of independence against Spain and in favour of a more just society, four constitutions arising out of as many constituent assemblies emerged. Local forms of popular governance at the grass-roots level, right under the noses of Spanish occupiers, tackled concerns such as health and education. The last segment of these struggles was led by Martí’s revolutionary political party. In modern times, taking into account the current changes being brought about in Cuba, is the role of the Communist Party to stifle discussion and debate? Or, rather, is the approach to encourage the participation of the people in shaping their destiny while the Revolution is once again at a crossroads? The facts show that the latter path is being followed. For example, Raúl Castro made an important speech in July 2007 in which he called on the people to discuss the issues and problems they are facing. In September and October, more than 5.1 million people participated in workplace, educational institution and neighbourhood meetings. There were 3,255,000 separate inputs recorded, including 1,301,203 concrete proposals. Of these suggestions, 48.8% were criticisms. In preparation for the 2011 Communist Party Congress, there were 163,079 meetings with 8,913,838 participants, resulting in 3,019,471 separate suggestions that contributed to the elaboration of the guidelines that served to orient all the major changes that are presently under way. Concerning car purchases and sales, the initial Congress Guidelines did not include anything with regard to this concern. However, in the wake of the discussions at the grass-roots level, a new guideline was introduced to allow for “the purchase and sale, between individuals, of existing vehicles.” Only five months after the April 2011 Congress, new decree legislation was introduced to enable the sale and purchase of vehicles. There are many other examples to illustrate this point that the main feature of Cuba’s political system is not the number of parties in existence, but rather the active cultivation of sovereignty increasingly being vested in the hands of the people. It is, after all, this so-called “single party” that is the political force striving to further stimulate the active participation of the people. Ironically, the hindrance to the people increasingly taking up their role as the framers of their own destiny stems from those entrenched in the bureaucracy who oppose this work of the party and its leadership to further democratize the Cuban political and socio-economic system. The mainstream media and some academic circles propagate the notion that Cuba is a so-called closed, stultified authoritarian system. However, my investigation shows that Cuba is presently the scene of a most vigorous debate at all levels on how to improve the political system so that the notion of people’s sovereignty takes on even more practical meaning. Another social scientist, Olga Fernández Ríos, in analysing the grass-roots active participation as manifested in the two examples provided above (the 2007 open debate and the 2010 pre-Congress input sessions) is of the opinion that this type of citizen participation should become a permanent and systemized feature of the Cuban political system. Thus, Cuba is presently catapulting itself into the new Latin American left. One of its main features is participatory democracy. Cuba is becoming increasingly vibrant on the very issue of people’s sovereignty while fighting a life-and-death struggle against bureaucracy and corruption. Yet, there is only one party. In addition to the current state of affairs in Venezuela as outlined above, Bolivia, under the leadership of Evo Morales, has led a massive movement with the party he founded. It has managed to begin to turn the tables on 500 years of colonialism by empowering the Indigenous and poor peoples at the base to take matters into their own hands. This has taken place through elections. One new socialist-oriented political party was and continues to be pitted against a plethora of pro-oligarchy status quo political parties. The Morales party and government have gone through trials and tribulations as they strive to combine Indigenous values such as Mother Earth with the need to develop the economy for the well-being of all. This is a very complex and difficult challenge. Morales and his party are looking to win the next elections, to be held in December 2014. However, nothing can be taken for granted, as the US and their allies in that Andean country have not given up their desire to put an end to the historical trend of Indigenous people becoming sovereign. There are several political parties in the Bolivian multi-party system, but the dichotomy far surpasses the criteria put forward based on the number of political parties. Morales’s party is the only political formation that stands for sovereignty being increasingly vested in the hands of the people and specifically dedicated to the liberation of the Indigenous peoples. Thus, the future of the peoples does not lie in the multi-party system, but rather in the hegemony of the Morales socialist party over the political scene. Indigenous values and traditions of governance, was drafted and voted upon by the people under Morales’s leadership. September 30, 2013 marked the third anniversary of the attempted coup d’état against Ecuador’s President Rafael Correa. The coup—led by Lucio Gutiérrez, a defeated candidate against Correa in the 2009 presidential elections—took place as part of this other Andean country’s multi-party system. What Gutiérrez and his US backers could not achieve through elections was attempted in 2010 by illegal and violent means. The fact that Gutiérrez was previously known as part of a new “pink tide” of supposed progressives in his elections campaigning indicates the very limited nature of the multi-party system, which is prone to deceit and demagogy. As for Correa, he has gone on after the 2010 attempted coup to become one of the most lucid critics of neo-liberal capitalist policies and against US interference in the affairs of Latin America. Alternation between “multi-party elections,” on the one hand, and coups and attempted coups, on the other, is not new to Latin American politics. Is this not what happened in the early 1950s in Cuba? The progressive political force in which Fidel Castro was involved was heading to electoral victory in multi-party elections against the US-sponsored Batista regime. Batista organized a coup d’état on March 10, 1952 and cancelled the elections. Fidel Castro, his supporters and their movement were responsible for ensuring that the Cuban people would hold sovereignty in their hands for the first time in their history as a basis for strengthening and improving it. This took place despite the multi-party system, 50 years before the new Latin America had begun to emerge. Thus, Cuba is not only part of this new Latin American left, but is, in many ways, its precursor. The common denominator is sovereignty being vested in the hands of the people.